[Sloved] How to Use Mac Disk Utility to Repair Disk? What is disk utility on Mac and how to use it? Find out in this new post! If you are unfamiliar with the technicalities on your Mac, like learning about disk utility, don’t worry, we will help you walk through all the basics of disk utility and how it does work and how it can help you in the future. We have made it easier for you to understand everything about Mac disk utility. Read along to find out. Part 1. What is Disk Utility on Mac? Part 2. How to Use Disk Utility? Part 3. How to Repair a disk using Disk Utility? Part 4. How to Backup Mac? Part 5. How to Optimize and Boost Disk on Mac? First, we have to know what disk utility on Mac is. A disk utility on Mac is a built-in application where you manage disks, add and manage volumes and RAID disk sets. It performs a lot of useful operations such as formatting, erasing and managing the internal and external storage devices. A disk utility also lets you create a disk of image files that can be moved to a different computer, archive or backup. 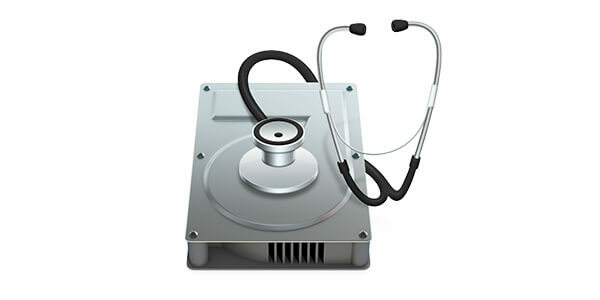 A disk utility can also fix and diagnose problems with a disk and damaged volumes. Now that we know that a disk utility is vital in making sure that Mac is running smoothly, there are also a lot of potential problems that can arise and cause a stir. There are a lot of reasons where you can use disk utility on Mac. The disk utility has been changed as the new MacOS versions upgraded. Many features were removed and new features were added. Just like we mentioned above, there are a lot of things your disk utility on Mac can do. For example, if the disk has problems and it is no longer letting you do anything on your device, you can scan and diagnose to understand the issue. If your Mac still powers on, the best way to determine the status of your system is to use iMyMac-Cleaner. This is a safe and effective program that runs diagnoses and lets you know what is wrong with your Mac. When you see that a disk error appears after scanning the entire system, you can proceed with the repair. Now we will perform a hard drive recovery using disk utility. Since we will need to restart your Mac, you can print out this article or open it on your iPhone or any Smartphone. Restart Mac by clicking on Apple menu then Restart. Upon restarting press Command+ R and holding until Apple logo appears. Look for First Aid and click. From here, disk utility will inform you about the status of your startup disk. If you receive this message, there is nothing much we can do if the disk is on the edge of failing. Simply backup the entire Mac and bring it to the nearest Apple store. If Disk Utility gives you another option which is to run diagnostics, click Run. After running diagnostics, Disk Utility will inform you that the disk has been repaired. Notes: However, there are some issues that may arise during the or after the diagnostics. There can be physical damages, reformatting needs, and other underlying failures. 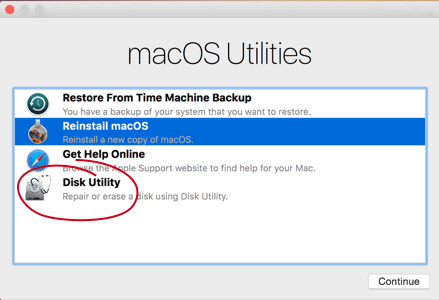 If you were unlucky when you received the disk utility on Mac warning that your disk is almost dying, you need to act immediately. Backup the entire files on your Mac to ensure that nothing is left in the case. This process is only good if you have not yet configured Time Machine. If you already configured Time Machine, the steps are different. 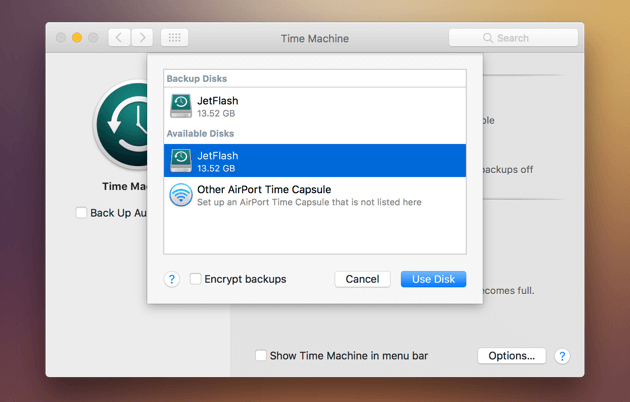 If Time Machine does not appear on the menu, go to your System Preferences and find Time Machine. Look for and check the box for Show Time Machine in the menu bar. In order to keep your disk healthy and well-performing, always ensure that you have a clean drive. You can set a maintenance schedule to regularly clean up the drive or better yet use Mac Cleaner by iMyMac. As we introduced earlier, it runs a complete and comprehensive diagnosis on your system status and informs you of the possible culprits for slowness, and other Mac issues. iMyMac-Cleaner is a handy software that you can rely on at any time. We have finally learned about what disk utility on Mac does, how to use it and even how to repair disks using disk utility. The next time you are experiencing any of the symptoms we gave earlier, use iMyMac-Cleaner to scan the entire system. An error does not necessarily mean that you need to replace your disk. It might be a flu-like problem that a simple cleaning can pacify. You will never know the health of your disk unless you run diagnostics. Always make it a habit to clean, organize and manage files inside your Mac to avoid any issues like slowness, low performance, clogged browsers and many more. Do you know the best part is? iMyMac-Cleaner is free to download so share the good news now! / Mac Cleaner / How to Use Mac Disk Utility to Repair Disk?